I capped off my 2014 season at Life Time Fitness series finale in Oceanside last Sunday. This was my first non-draft triathlon since I did Life Time’s Tempe race last September. After racing in Cartagena a couple weeks ago (maybe I will have an update on that race and a few others in a season recap post to come), I dusted off the TT bike and got to work getting used to riding in the aero bars again. The season has had plenty of ups and downs, but one thing that has remained consistent throughout is my bike leg. In every race I have done this year, I have felt that I was among the strongest cyclists in the pack. At? ?New Plymouth World Cup and Yokohama WTS earlier this year for example, I worked my way up to the lead group with uber-cyclists like Tom Davison, Richard Murray and Declan Wilson. I thought this race? ?would be a great opportunity to see how my bike leg stacks up against some of the very best non-draft cyclists in the sport. I also felt my swimming was? ?coming along in the last four weeks and thought I could put myself in a decent position out of the water to potentially ride with the main group. Getting the ENVE-equipped time trial bike race-ready after about 13 months off. This was a? ?very early morning. Welcome back to non-draft racing!? ?I stayed in Poway the night before, which is about 30 miles away from Oceanside. I was up at 3:45 to have some food (a couple eggs, bagels, and coffee) and make the drive down. This was my first race with separate locations for transition 1 and transition 2, so there were some logistics to figure out that I normally don’t need to do. Transitions were a couple miles apart, so I rode to T2, dropped off my running shoes, and then headed over to T1 to get everything else ready to go. Typically, water temperatures in Oceanside at the end of October are about 64F, well below the wetsuit cut off temperature of 68. I think the fabled El Ni? ?o of 2014 saw I was on the start list, however, and decided to kick up the water temperatures to 71F. So, unfortunately, it was another non-wetsuit swim for me (of the fourteen races I did this year, only two were wetsuit legal!). My roommate and training squad mate Eric Lagerstrom had an extra Roka speedsuit on hand and let me wear that. Thanks, E! I was in the back half of the field after the first couple hundred meters or so. I could see there was a split in the field a couple guys ahead of me. I moved around a couple of guys, but by the time I had made the pass, the lead group had a pretty big gap. For most of the rest of the swim, I led the “chase” group. We eventually caught one guy that was caught in no man’s land and came out as a group of six. I heard that I was about “one minute down.” After looking at the splits, I see that I was about one minute down from the tail end of the front group, but nearly two minutes behind Tommy Zaferes, who had gone off the front by almost 40 seconds! The run to our bikes was quite short. By the time I got to my bike, I had just begun to unzip my swim skin. I wasted a bunch of time here just standing in front of my bike trying to take off the swim skin. As an ITU athlete, it is embarrassing and unacceptable to lose this much time in transition. I ran out onto the bike course at the very back of my swim group. Check out some tricky split screen video action thanks to my parents’ camera work! Out of T1 I was just behind Luke McKenzie. I knew he would be very strong on the bike, so I tried to keep him in sight. After five miles or so we moved through the guys just ahead and were working on closing the gap to the main pack. This course had several u-turns, allowing me to keep an eye on the race up ahead. Cam Dye was starting to pull away up ahead with a gap to Ben Collins. Just behind Ben was a strong group all riding together. I knew I needed to get closer to that group to be in the pointy end at the end of the race. Nearly 20 minutes into the race I started to hear a tapping noise coming from my front tire. My first thought was I had a nail or some other piece of metal stuck in the tire and it was clicking with each revolution and hitting the fork of the bike. I could see something sticking out of the tire, but air pressure was still good. As I focused on it, I could see it was red, and since my tubular has a red stripe down the center, I wondered if a chunk of my tire was ripping off! Tire pressure continued to hold, however. I finally thought, “screw it,” and kept pressing. During this distraction, Luke McKenzie opened a sizable gap on me. He was riding really well, and I needed to be 100% on to stay with him. From this point on I was pretty much riding solo, catching a few guys that were dropped by the pack ahead, and looked to my power meter to help keep the pressure on. For you guys interested in power and data, my ride file is up on Strava. I averaged 330W and 26.3 mph (42.3 km/h). Going into the race I thought I could be a bit higher than this, maybe as high as 340W. Luke McKenzie rode 54:25 compared to my 55:43. The extra 10W probably wouldn’t have been enough to ride quite as fast as he did, but maybe it would have been enough to get to the tail end of the lead pack that he rode straight through. I learned in this race that in this high-level non-draft racing format (for Olympic distance, at least), there is still a racing dynamic on the bike and knowing when to put out the big efforts is more important than just riding the highest average power you can hold throughout the 40 km. Coming off the bike I was in 10th place with at least a minute gap to the next guy. Oceanside Tri was the final leg in a three-part race series that included an ???equalizer??? event between the women and men. The women started the race 10 minutes and 13 seconds before the men, and we had to try to catch the women before the finish to ???win.??? This was nice for me at this point in the race because there were a few women in between me and the next guy for me to focus on and help me bridge the gap. The course was flat with some short, steep hills every mile and a half to break things up. After a couple of miles I finally caught some of the guys that were ahead. I first caught David Giardini and then Luke McKenzie about a mile later. I was running OK, but my legs were definitely tired from the hard bike. With a couple miles left, I saw Joe Maloy running the opposite direction, LEADING THE RACE! I was really pumped to see that, and I?? ?m pretty sure I told him so. 🙂 This was his first big win of his career, and it was nice to celebrate with him after the race. I finished in 8th place with, I think, a satisfactory performance. Going into the race, I thought I could be closer to the podium, and I certainly put everything I had on race day into accomplishing that, but I made some mistakes (T1 and dealing with that tire mishap) that were too much for me to overcome with the quality of the field out there racing. A podium or top-5 finish would have been really nice going into the off season, but instead I am settling for a? ?solid result and learning experience. Thanks to??Hypster.com? ?for their support all year. Thanks to? ?ENVE for putting me on the fastest equipment out there, including the SES 8.9’s and 110mm stem I used in this race. I’m off racing until some time in 2015. More updates surely to come on ending 2014, what I’m doing on my time off, new sponsors, and looking forward to 2015. My second race of the year in China is tomorrow at the ITU Jiayuguan World Cup. The trip has been surprisingly smooth, and I am ready to go for tomorrow. I just had a sitdown with Coach Paulo (it’s nice having him along the trip this time, along with The Triathlon Squad teammates Joe Maloy, Eric Lagerstrom and Chilean Felipe Van De Wyngard) and we highlighted what it will take for me to be successful tomorrow. More on that after the race! For now, I’d like to let you know how to follow the race and share a few photos/instagrams/tweets from my adventure so far. There should be live timing tomorrow at http://triathlon.org/live. My race goes off at 9 am local time on Saturday, which will be 6 pm Pacific on Friday. The start list can be found here (I’m wearing #18 tomorrow) and results will be posted after the race here. #TheTriathlonSquad singlehandedly created the #JiggyWC hashtag. First look at the race venue. It’s a two lap swim, eight lap bike, four lap run. Of note: we are over 5,000 feet of elevation here. While this is my first time racing a triathlon at altitude, loyal RunPD followers know that I am no stranger to altitude as I spent six years running and going to school in Flagstaff, AZ at 7,000 feet. As I’ve said, the trip has been quite smooth, much thanks to the great group we are travelling with from USA Triathlon, including Coach Greg Mueller and athletes Jarrod Shoemaker, Will Huffman and Jessica Broderick in addition to my squadmates/coach. But that’s not say we’ve encountered some interesting items (or just bad translations) in the buffet and around. “The dainty cyclone is coming.” Right; sounds like no cause for alarm. Some good words in there. But what does it all mean??? And finally, I did get to see the Great Wall of China a couple times while out riding. Jiayuguan is the furthest west point (“first pier”) of the Ming Dynasty portion of the Great Wall. I’ve had fun researching the area and the Great Wall in general on Wikipedia and Google Earth (which requires a VPN to get pass the Great “Firewall” of China). P.S. Check out this article my local paper, The Ventura County Star, wrote on me a few days before I left for China! Last night Universal Sports aired the F1 Fearless Pro Super Sprint. 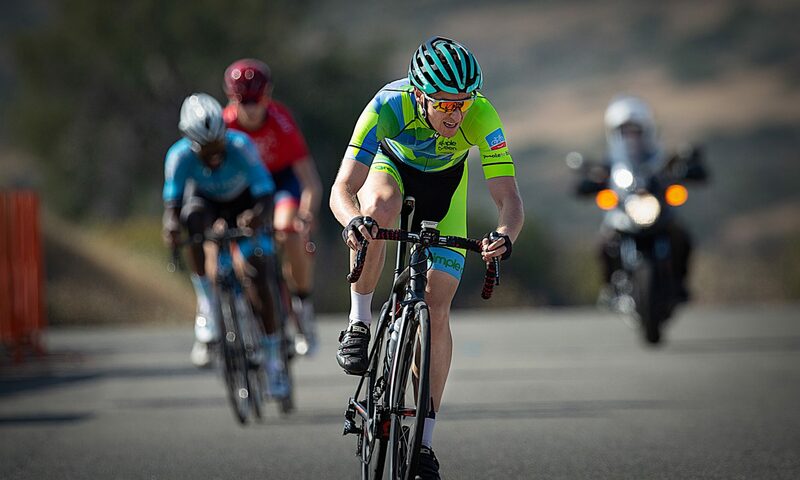 This was my last race of my 2013 season, about two weeks ago. The race took place in Mission Bay, home to the very first triathlon almost 40 years ago. A face made for television. In case you missed it last night, the race will re-air a few more times this week.